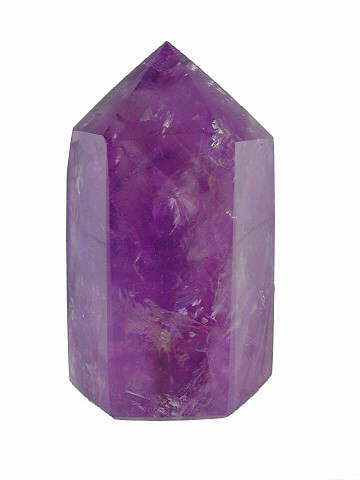 Stunning Amethyst polished point Isis formation (Goddess) crystal. This wonderful point has a far, far better colour in the flesh. It has a beautiful deep violet colour throughout (unfortunately the photo makes it look a bit flat), super clarity and sparkle and is full of gorgeous little light-bearing rainbows.